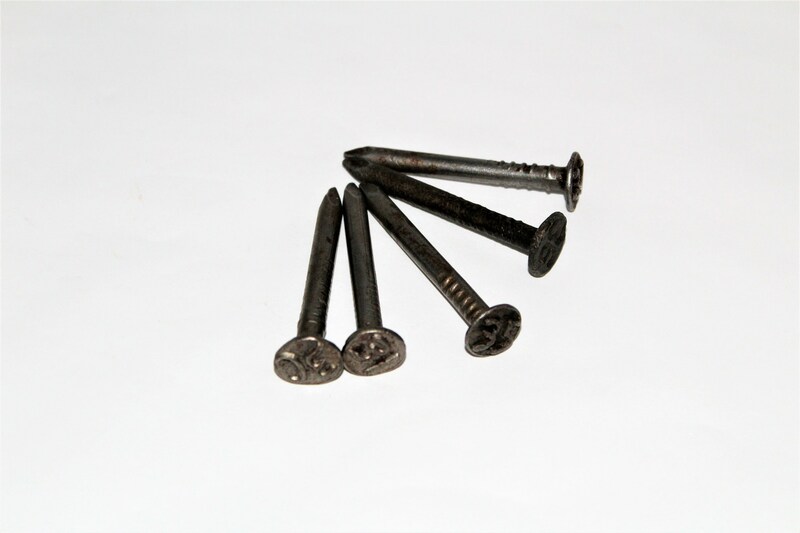 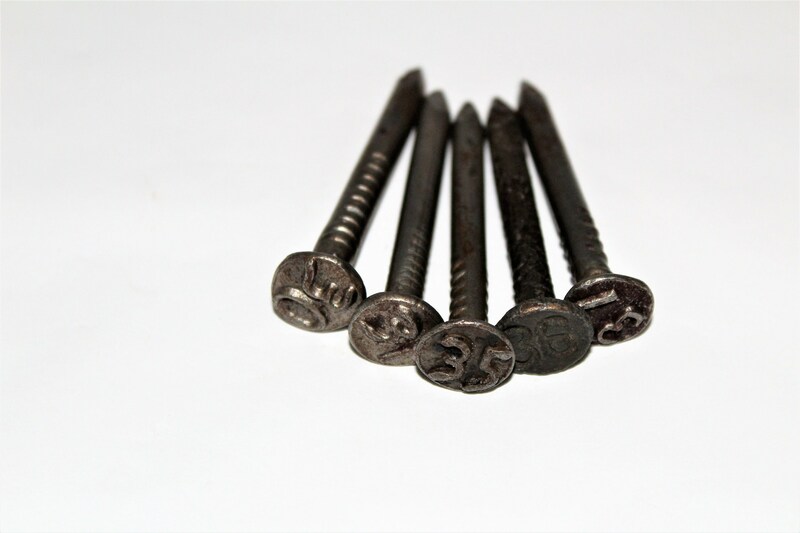 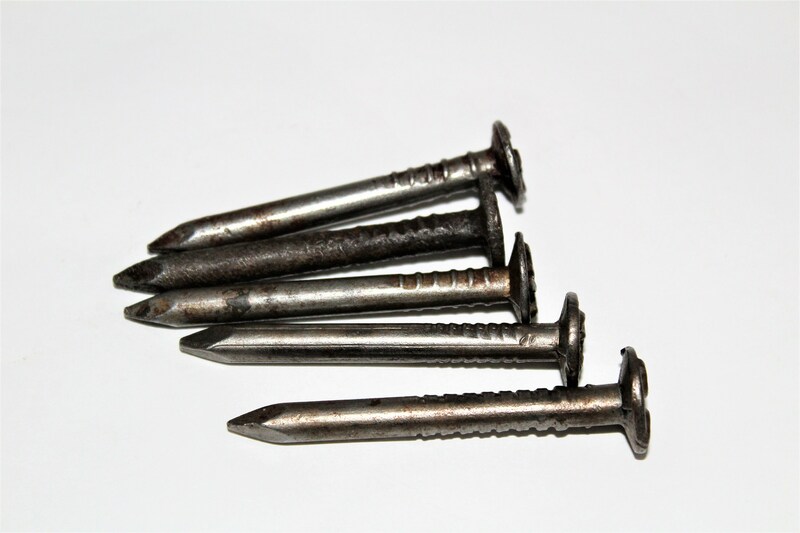 We have for sale Vintage 1930s Dated Railroad Nails. 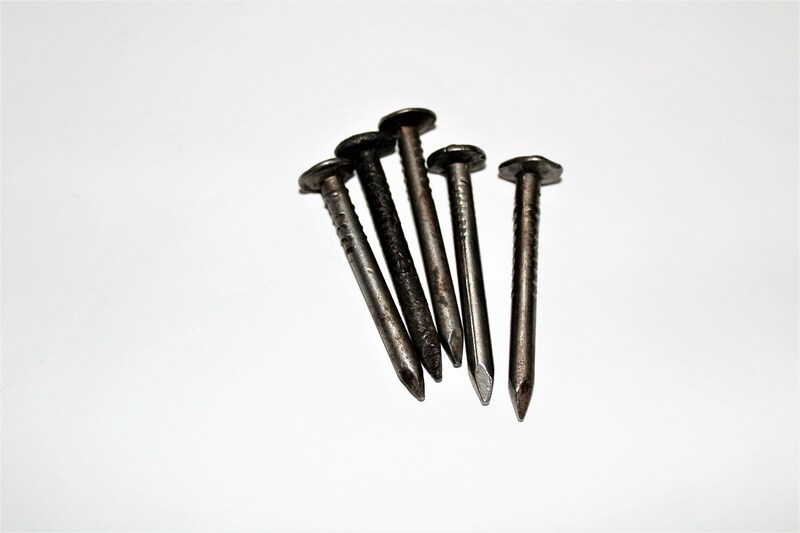 Wonderful Railroad Memorabilia these nails are dated from the 1930s and in very nice clean condition. 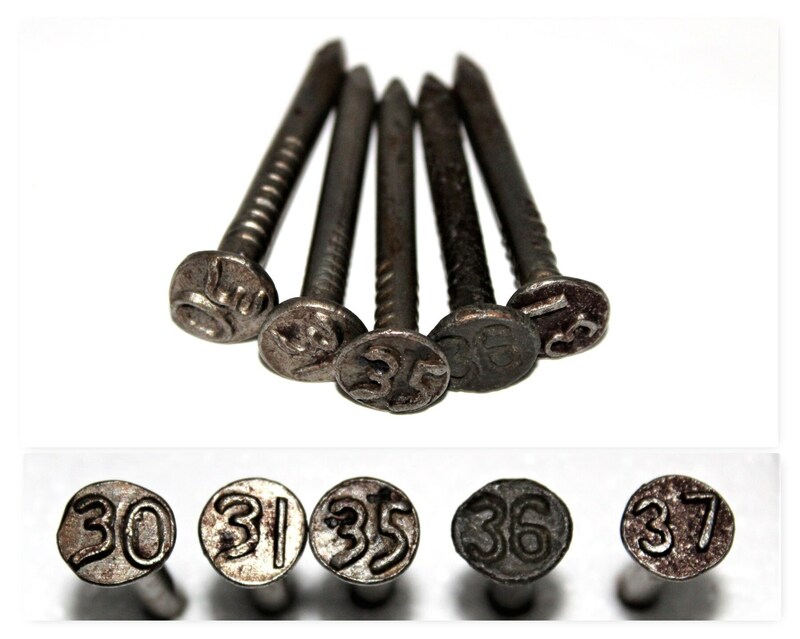 Dates are 30, 31, 35, 36, 37. 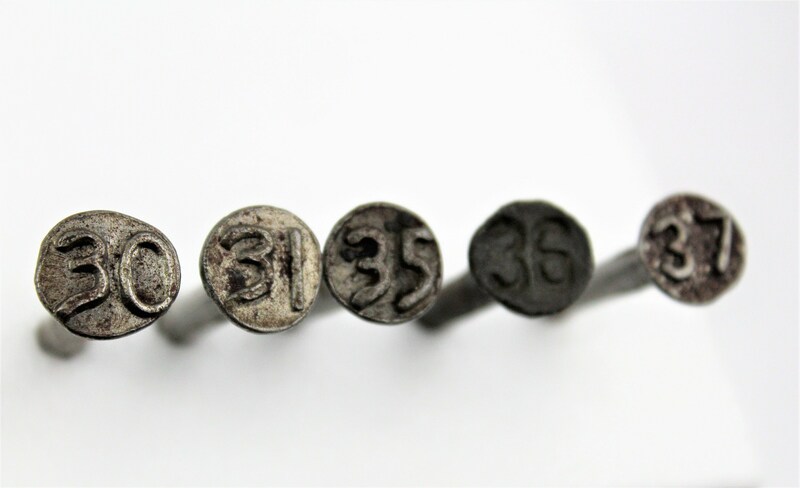 Marked; 30, 31, 35, 36, 37.